Cindy Rice, a Luxury Real Estate Specialist, joined The Luxury Team of Signe Inc. with Keller Williams La Quinta in August of 2017. With over seventeen years of experience, Cindy enjoys assisting buyers, sellers and builders in fulfilling goals, as well as the opportunity to introduce others to our dynamic desert community. 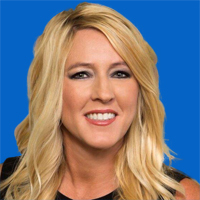 Cindy began her real estate career in the Coachella Valley in 2001, joining Re/Max Real Estate Consultants as an Executive Assistant for ‘The House Store’ principals. In 2005, she joined Keller Williams Realty, and worked at the El Paseo, Palm Desert location as a Licensed Real Estate Agent and Executive Assistant for 11 years. Cindy is known for her multi-tasking ability and business savvy. Her experience has taught her a successful client outcome is an art, and managing the transaction is a piece of a much larger picture. With extensive real estate knowledge, attention to detail, a can-do-attitude, and problem solving skills, Cindy has earned a reputation as a trusted asset in the real estate industry. Additionally, Cindy’s technical real estate knowledge, experience, and loyalty was an asset to clients worldwide through her experience with the value-added-service and exclusive international marketing brand, Keller Williams Global. Cindy’s career began as an Early Childhood Education Teacher for the La Quinta Family YMCA. In 1998, she joined KDFX Fox Channel 11 and KESQ Channel 3 television stations (network ownership merger) as the Fox Kids Club Coordinator fulfilling promotional events & marketing. As a Coachella Valley native, Cindy has first hand appreciation for the lifestyle our beautiful valley has to offer. Cindy is a married mom to two active boys, and BFF to Charlie the chocolate lab. In her free time, Cindy is an active contributor to the Pendleton Foundation, a local charity for Coachella Valley resident cancer patients.